Chiang Mai, Thailand, is known as the Rose of the North, but it really blooms into life in early February, towards the end of the cool season. 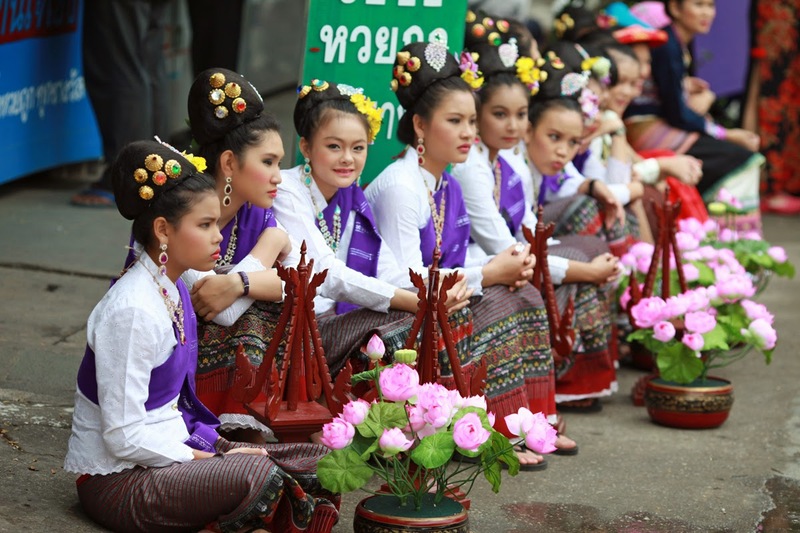 Every year on the first weekend of February, the Chiang Mai Flower Festival exhibitions open. The flower beds in public gardens and other places are especially beautiful at this time of year. Everywhere the tourist will find displays of yellow and white chrysanthemums, and the Damask Rose, a variety found only in Chiang Mai. Also, the pink and purple Dendrobium orchids, and the lovely yellow Daoruang. 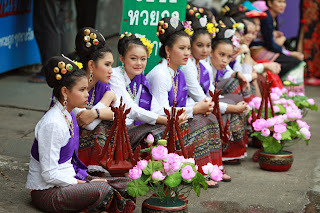 The real focus of this Chiang Mai festival, however, is the public garden of Suan Buak Haad on the south-western corner of the moat. The police close off the road next to the moat all around the park, and allow vendors of plants, Thailand flowers, Thailand orchids and garden decorations to set up their stalls. This is probably the nicest corner of the moat, well supplied with shade trees, and a good place to spend an hour or two looking at what is on offer.